Enjoy a round of golf in one of the most beautiful courses in the region. La Barouge stretches 5635m over 54ha. 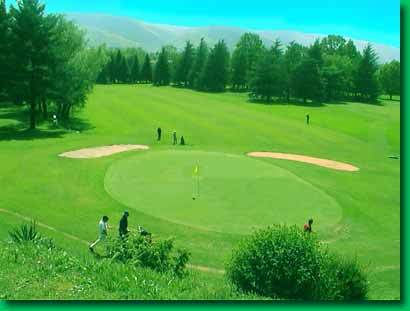 A traditional club, with 18 holes which present variety and quality golfing. The course is open everyday. The Green fees are 40€ per person The Club house Bar and Restaurant is open everyday except Tuesday and serve traditional cuisine. Evening meals are available on demand. The Pro-shop is also open everyday except Tuesday. Click on the link above to browse their website. You will be able to view the general plan and distances on the course.